Winter might be one my favorite times here in Boston. It’s not just the cozy blankets and snowfall that I love, but also how winter gives me renewed inspiration for my Instagram feed. Winter backgrounds are an easy way to add texture, design elements and depth to almost any photo. And the best part? Everyone can find these backdrops. If you feel like you’re sharing the same boring photo backgrounds or your feed has gotten stale, check out these winter photo ideas for inspiration. One of the easiest winter photo ideas to find is right under your feet. Whether it’s a worn, antique aesthetic or a modern, glossy finish, you can use wooden floors as a background for almost any photo idea. The best way to make your wooden floor background stand out is how you style it. Just like Bees Wrap does with their feed, they always very intentional about how they style their photos. Whether they’re using garland or a handful of cranberries, all of their photos, including the ones that have a wooden floor, fit into the aesthetic of their feed. Before you snap a picture, jot down a list of the winter-inspired elements you can add to your wooden floor photos. 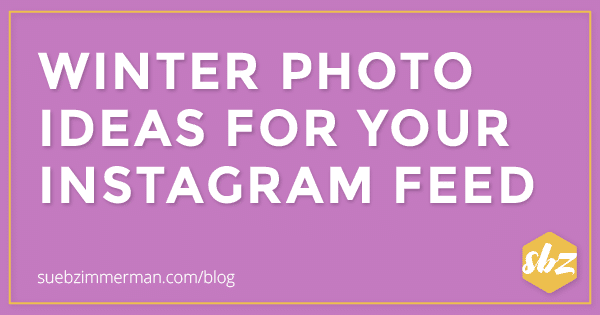 This will make it easier to plan how you can consistently incorporate these winter elements into your Instagram feed. A touch of glam can be difficult to find. That’s why I love adding some fun to my photos with tinsel. I know what you’re thinking … the holidays are over! But tinsel is a great way to instantly add shine to your photos all year round. Even better, tinsel comes in a ton of colors so you can easily find some that align with your brand colors. You can even make your tinsel the center of a funky photo-shoot like Kelly Mindell does for her brand Studio DIY. Kelly keeps the photo on brand by adding playful moon and disco ball balloons. You can even incorporate your glam-inspired vibes into your caption like OPI did with their recent nail polish collection. Their witty captions and glamorous photos strike the perfect balance and create a sense of continuity for their followers. Whatever your brand aesthetic, tinsel is a great way to grab people’s attention as they scroll. Just remember, you still want your product to stay at the forefront of the photo. Experiment with camera angles until you find one that strikes the balance between showing off your product and the shine of the tinsel. Whether it’s Valentine’s Day or the holiday season, wrapping paper is an easy way to add a patterned background to your winter photos. Even better, there’s a good chance you have a lot of wrapping paper already stored in your closet. What really sets the wrapping paper background apart is the wide-array of background color options. If your brand uses a larger color palette instead of one specific color, try using wrapping papers that reflect your variety of brand colors. Runner Kimhall does an amazing job using paper, pastel backgrounds through their feed. But since their brand is playful, they’re also purposeful in including pops of colored, patterned wrapping paper to grab people’s’ attention. Make sure your wrapping background isn’t wrinkled. Even fine lines in wrapping paper can stick out and ruin the quality of your photo. If your paper is wrinkled just carefully iron it like you would a garment. Just make sure to set the irons setting to low and are careful not to tear the paper. Since I live in chilly Boston, winter snowfalls are probably one of my favorite winter photo ideas to capture. Trust me, it’s worth bundling up to capture a serene winter snowfall as your background. One of the best ways to capture the fun of a winter snowfall is by making sure to include pops of color, just like Will Taylor does in his Bright Bazaar feed. With playful sweaters and brightly colored scarves, Will captures the essence of a snowy New York City day. Another fun way to capture a snow day is with a short video. Jean Wang does this beautifully in her Instagram feed. The best part is that you don’t need an expensive videographer, check out all of the options available in the app store. Even if you don’t live in a winter wonderland, consider how you can stylize your winter photos to capture the fun, vibrant feelings of winter. Grab your fuzzy hat or favorite scarf, don’t be afraid to make the photo unique to your feed. Soft and warm in a company of the polar bear family.⠀ ⠀ Thank you for sharing this moment, Carolin @caroandthegang ⠀ ⠀ It’s so grey, windy and rainy outside, so I would love to crawl in and snuggle like this.⠀ ⠀ But this privilege belongs to a happy childhood. Work is calling…⠀ ⠀ Anyone also dreaming about a afternoon nap? Now there’s a good chance you have this winter photo idea laying around your house – it might even be right next to you. Cozy blankets are the ultimate way to share the cozy feelings of winter that anyone can relate to. If you’re a business that specializes in home goods, like blankets or other décor, one of the best ways to show this winter photo idea is by showing your customers using it. How can you resist this adorable photo from Fab Goose? These photos not only help to establish your credibility with your followers, but it’s a great way to show that you’re engaging by sharing user-generated content. Cozy blankets are also a smart way to instantly add texture to a photo. If you find that your photo backgrounds are all looking one-dimensional, consider how a knit blanket can add an interesting style element. Tattly + clothespins + brick wall = cutest retail display idea. If you’re near Fort Wayne, Indiana, make sure to stop by @fancyandstaple and pick up Tattly for stocking stuffers! Brick walls are literally everywhere. From beautiful dark finishes to fun graffiti, you’d be surprised at how well these walls work for beautiful winter photo ideas. Even if they’re inside of your storefront, like Tattly uses for their photo here, you can stylize your photos to uniquely show your product. Displaying their tattoo collection on clothespins not only allows Tattly to showoff more of their product, but it inspires people to want to come into the storefront and check it out. For an interesting twist, you can also use brick walls further in the background like Bee Inspired Events. Despite your attention going immediately to the beautiful table setting, you still get the awesome textures faintly in the background. If you’re struggling to make your brick wall background stand out, consider changing the angle of your photo. You’d be surprised how one small change, like moving the focal point further away, can make the photo stand out. Now that you have some winter photo ideas for your Instagram feed, here’s something you might not have thought of – try using a signature background. Using a consistent background helps your photos to be instantly recognized by your followers and keeps you top-of-mind when they scroll. Since I use it consistently, my followers immediately recognize the blue rug that I often use a backdrop in my Instagram feed. To make it even easier for them to find me, I also created the a unique hashtag, #SueBBackdrop. 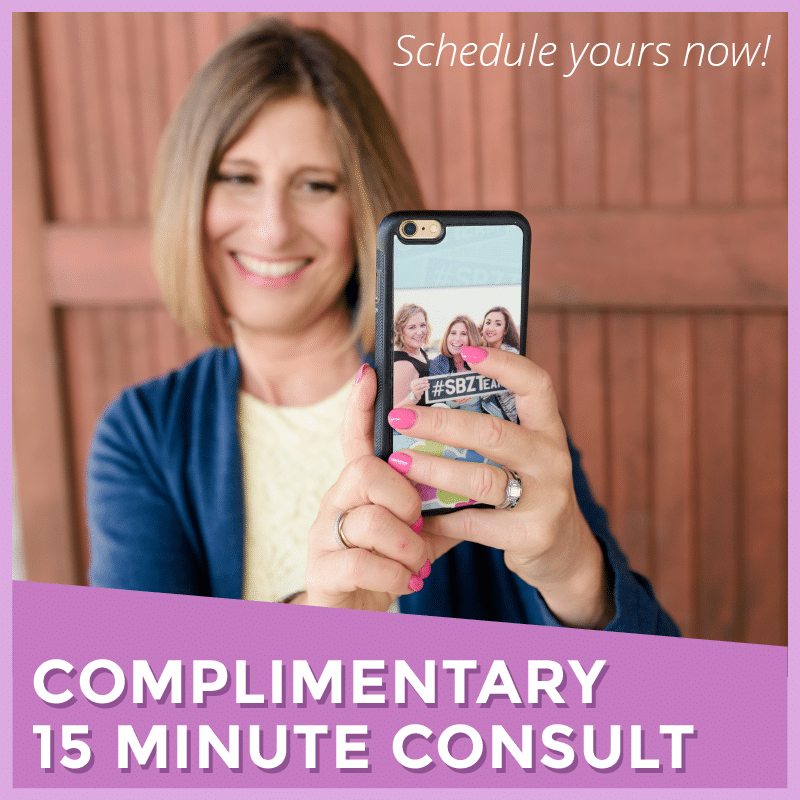 Ready to elevate your Instagram feed strategy? You’ve learned how to update your Instagram feed for winter, but remember no matter which background you use it’s important to be consistent with your branding. 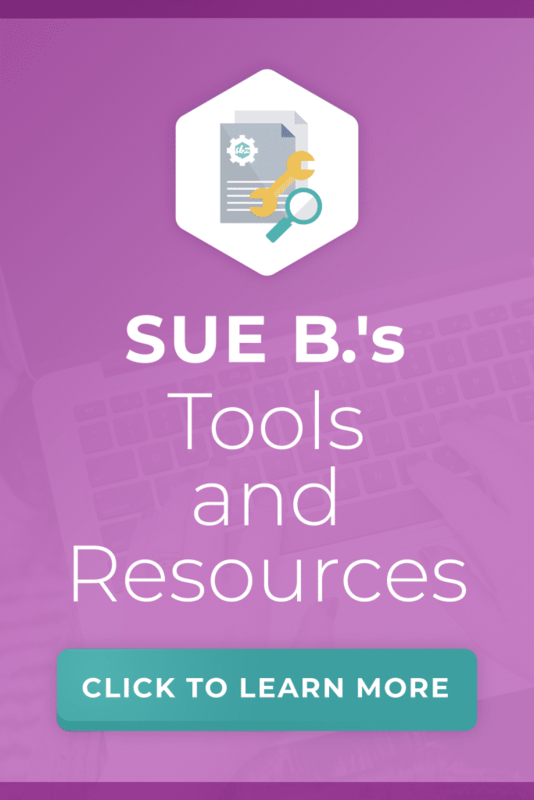 Don’t just use a background because it’s popular with your competitors. Stay true to your brand, and you will see positive engagement from your followers. Winter photo ideas aren’t the only way to elevate your strategy. Be sure to download my new 2018 Instagram Strategy Guide. 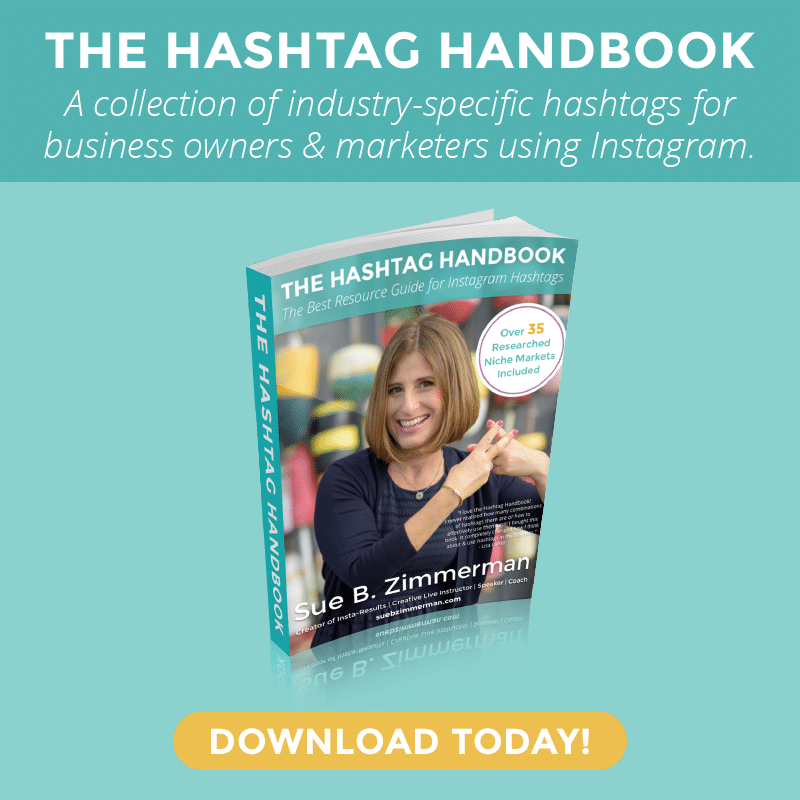 This free 12-page download is designed to help you quickly pull together an Instagram strategy for your business. With this guide, you’ll learn the power of Instagram and the 7 main areas you need to focus on to get started. Every day we hear from people that they would totally pay for this…but we like to over-deliver…so it always FREE!